What is bearded dragon? This animal is included in a lizard type. 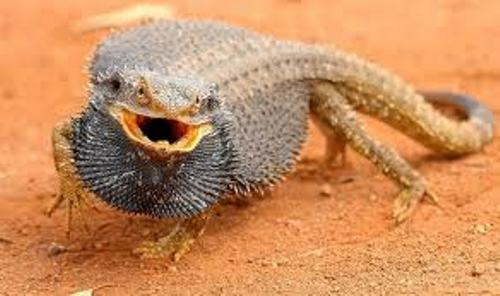 Even though this lizard can be found in various pet stores in the world, actually it was originated from Australia. It was imported to US since 1990s. Soon after the introduction of this lizard in US, it becomes one of the most popular reptiles that people can raise at home. This animal is not dangerous. You just have to take care of it well. Beaded dragons can be found living in central and eastern part of Australia since these animals are native to the land of Australia. They like living on the rocky, arid and desert area. The bearded dragon has a stable population. Thus, it is not included as one of the endangered species in the world. 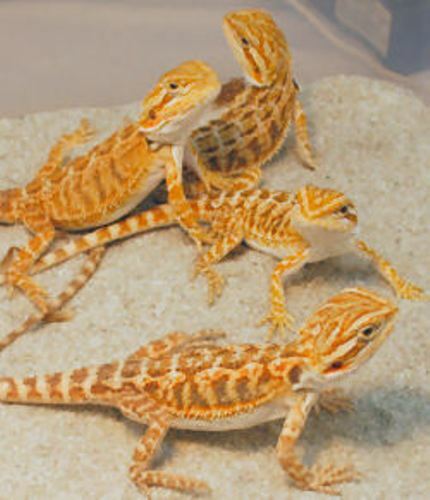 Even though you find them on the pet stores, there are still abundant of wild bearded dragons. The male bearded dragons have bigger size of body than the female ones. You can see them having the average length of 16 to 22 inches. Most of the tails have the length with a half size of the length of the body. 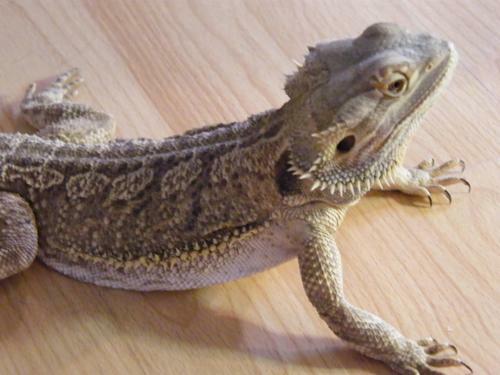 The body of bearded dragon is thick and muscular. It has a unique head in triangular shape. The color of the skin is in yellow and tan color. On the throat, you can find some spines. Do you know why this animal is called as bearded dragon? It can enlarge his throat which looks like a beard. It will do it to warn the predator. 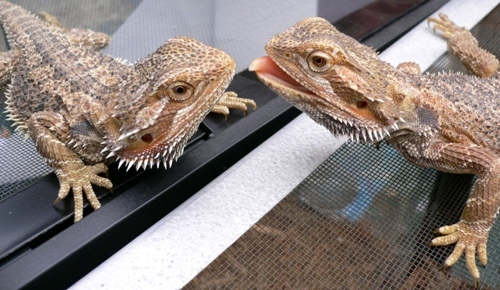 It is very easy to distinguish the male and female bearded dragons. 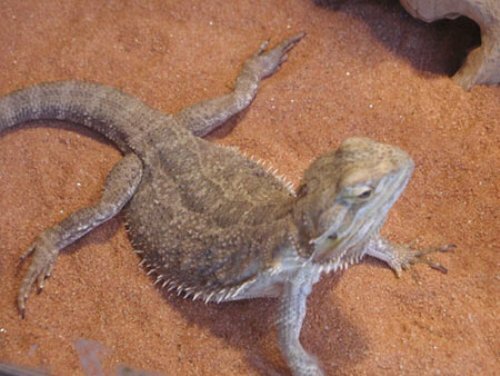 The female bearded dragons have slender tails with thinner body. If you raise a bearded dragon, you need to give it the right food. This animal is included in omnivore. It can eat small rodents, insects, leafy plans and lizards. You can observe the behavior of a bearded dragon. This animal will stand on the three legs with one leg is rotated on the air when it wants to show submission or greet other species in a group. Don’t make the bearded dragons scared if you do not want to see their enlarged throat and flattened body. This scary appearance make the animals gain the name bearded dragons. Have you found the facts about bearded dragon fascinating? Let me give you the interesting liger facts if you want to know the biggest cat in the world.